When Abraham Heschel was asked how he could write so many books he said, "Hard work, training, and a good enviroment". This applies to so many aspects in daily life but most people may not grasp the last part of Mr. Heschel's response about a good enviroment. The good enviroment is something that comes from very early on in all of our lives. It is something that most will not recognize as much as something as obvious as say the price on a loaf of bread in the grocery store. It truly has intangible written all over it. 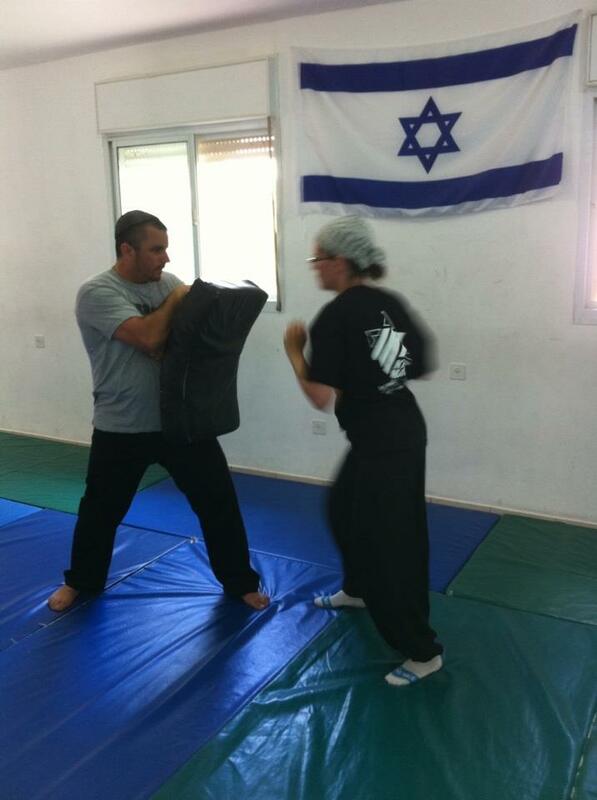 As in Krav Maga, we are blessed to know our teacher, Moshe Katz. He has put in the hard work and continues to do so. He has taken the bumps, bruises, losses and successes. From multiple martial arts to serving in the military and now ultimately, serving all of us as head instructor of IKI. Through the life and experiences of victims to the tragic deaths of many blessed memories, Moshe has embodied the true definition of hard work and sacrifice. A sacrifice not as much of the body as it has had, in my opinion, of the heart. He has taken all those trials and tribulations and formulated them into what we all work or should be working hard at. Training, well we have multiple avenues in which to train, i.e., video clips, seminars domestically and internationally, blogs, and of course the always fun and educationally real life experience of the Tour and Train program. The time you put in, is the quality you are going to exhibit. The mistakes you make in improvement look much different than the ones you make in excuses to the teacher. This is also disrespectful on a different level. As Moshe has written about in some other blogs, Sensei means, one who comes before. How did that happen? Hard work and training! Don't make any excuses. If you didn't practice or train in something just say so! It's okay, all good instructors respect the integrity. At least we know where to focus on in class. Who knows, maybe that is the technique that saves your life after class that day. Which segways into my final point, a good environment. We have a good environment in which to learn our Krav Maga. Why? Because Moshe Katz has been trained from a very early in his life in the Martial Arts. This has allowed him to develop and evolve into what we now call I.K.I. or Israeli Krav International. And because of the early training and nuturing in his life he has in turn, given us the greatest gift a teacher can give, a good environment in which to learn. He has taken the seriousness of heinous crimes committed internationally and infused our training modalities with morals, ethics and basic fundamental principles that will work for anyone. This also includes the safety he stresses for ourselves and our training partners. We, as students of Moshe Katz, and yes this means even high ranking instructors as well, need to count our blessings and be thankful for the invaluable lessons that we are taught by him each and every day. We truly have a compassionate teacher who cares. We as an IKI student body must humbly accede to the lessons we are taught with extreme diligence because it is a loving demand from our teacher so that we may have a fighting chance at survival. As is said in the US Marine Corps, "We don't promise you a rose garden, but we will train you to have a fighting chance". Moshe doesn't promise us a rose garden either, but he does promise and lives by his word each day to give us all a fighting chance at life. Life is precious, all of life. To help us and guide us to be the best ethical warriors we can be is just his way of sharing his peace. Our rose garden is our training enviroment with no guarantees except for one! Our teacher giving us his best. Attend a seminar, come to Tour and Train, study the video clips and read the blogs, and learn something new everyday. And remember, everyday life is your training enviroment so remember the fluidity of motion and go with it. Final thought.....Give back your utmost because Moshe Katz is continuously giving you his.